Some people may feel that suites are the way to go for rooms on Phi Phi Island. Zeavola Resort, a five-star resort, offers beach front suites, garden/hillside suites, village suites, and the Zeavola suite. These deluxe, luxurious suites are furnished with king sized beds, hidden access to the beach for beachfront suites, private gardens and private sitting area, it just proves that with money you get honey. The Phi Phi Island Village Villa offers exquisite villas on the side of the hill with glorious views of the Andaman sea and Krabi province coast line in the distance. These villas are connected to the main resort of Phi Phi Island Village Resort And Spa and share all extensive facilities of this larger resort. So although each villa has their own private pool there are 2 others to explore on the resort park should the fancy take you. The Phi Phi Hotel, a more moderately priced hotel in Phi Phi Island, offers suites as well. The rooms in that Phi Phi Hotel are suites located on the 5th, 3rd, and 4th floors all providing magnificent views of Tonsai Bay. Their suites in this hotel contain sitting rooms like the ones at Zeavola Resort. There are only 4 here in the whole hotel and so these are in short supply at the busy times. The beauty of the hotels on Phi Phi Island is that they provide the traveler with an extraordinary variety of types of accommodation to choose from. Some hotels like the Phi Phi Don Chukit Resort have seven types of rooms to choose from including bungalows, deluxe rooms on the beach, and standard rooms. These family fun min resorts have added to their rooms types over the years and have an interesting mix of clientele where the best rooms might cost 10 times of the most simple. This is quite typical for the 2 star resorts. 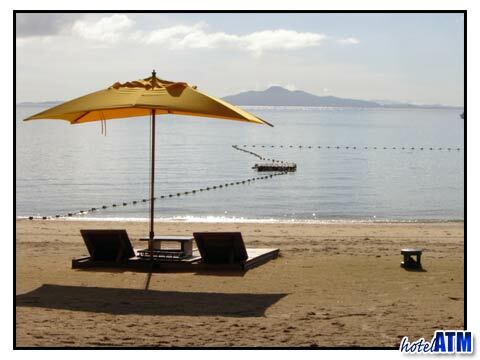 Chao Koh Bungalows also have a fun family resort right on the beach with rooms all around the pool. Others like thePhi Phi Relax Beach Resort simply have bungalows. Sometimes the room is charged according to what type of room it is, i.e., a standard room or a deluxe suite. Other times the price depends upon the location of the room on the premises. For example, it may be more to stay on the beach than by the pool. In some cases, the room may be priced for the amenities it contains. For example, bungalows with fans cost less than bungalows with air conditioning. However, if your concern is not having electricity or going without TV, don't worry-in Phi Phi Island rooms it may be available. For example, at the Phi Phi Banyan Villa, rooms have a hot and cold shower, telephone, satellite TV, Air conditioning, mini bar, safe deposit box, and coffee maker. How's that for feeling at home? If that isn't splendid enough try the Phi Phi Island Cabana Hotel which commands the views of both Loh Dalum and Tonsai Bay. The most popular type of accommodation is the bungalow. Made of bamboo, you will see them all over the island. They either have an air conditioner or a fan. Most have mosquito netting. 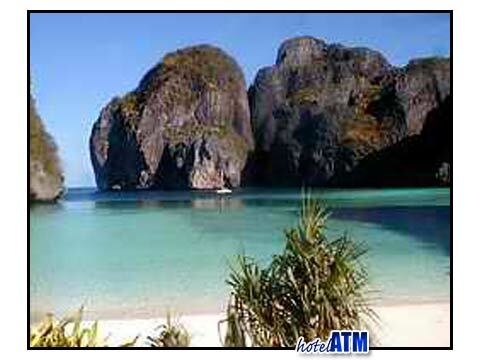 For example one resort on Phi Phi Island that offers bungalows is the Phi Phi Hill Resort. They have three categories of bungalows, the price depending on the view and whether or not it has a/c. These rooms are spacious inside and also have a decking balcony from which to view the sunset. Bungalows come in many different sizes. For example, at the Andaman Beach Resort, the bungalows accommodate from five people in two rooms to two people in one room.